When you think incredible food, you probably think Paris, and that’s for a good reason. Not only has the City of Light, or La Ville-Lumière, given us foodie icons like Julia Child, it’s also the epicenter of cuisine and an incubator for some of the best chefs in the world. With a reverence for wine, an obsession with chocolate, and more Michelin-starred restaurants in a single block than any other corner of the world, you’ll find your stomach will give out long before you’ve whetted your appetite for all the foodie experiences Paris has to offer. Because your time and your appetite is limited, here are your the Parisian experiences that should top your foodie bucket list. Palmiers or Escargots: Paris has the best patisseries in the world, but as any real Parisian will tell you, croissants are for tourists. Eat like a local by nibbling a palmier, named for their palm leaf shape and similar in texture to a croissant. Escargots are also popular with Parisians. These buns also have buttery, flaky layers, but are made with brioche dough and packed with raisins. Coq Au Vin: This classic French stew is considered very provincial, but that’s part of its charm. Chicken is braised slowly, sometimes for days, in red wine and brandy with mushrooms, bacon, and onions. It became a cornerstone of Julia Child’s cookbook, Mastering the Art of French Cooking and you’ll find most respectable bistros feature it lovingly on the menu. Cheese: The French take their cheese very, very seriously and you should too. Start at a legitimate fromagerie like Paroles de Fromagers, where they’ll walk you through the right pairing. Or you can take a cheese tour and just eat your way through Paris until you find the perfect partner. The extra calories are worth it. Pourriez-vous recommander un restaurant local? 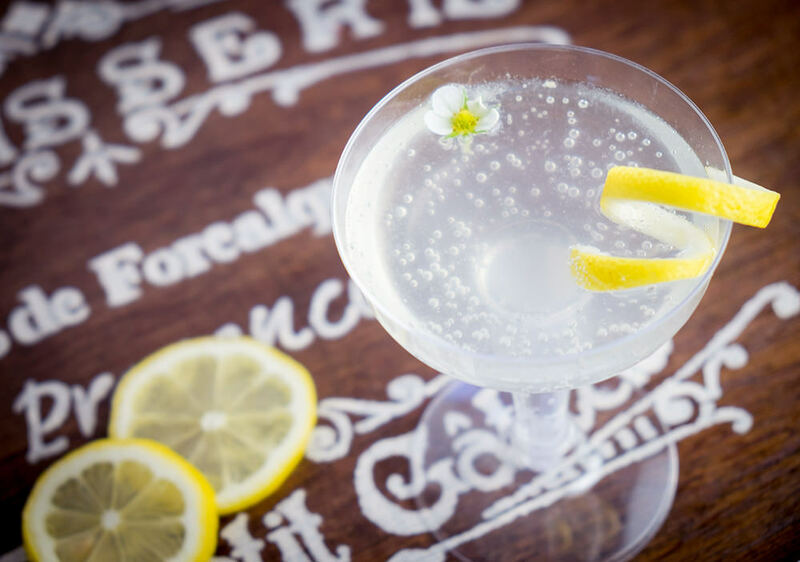 ​Sip on a French 75, made famous in the 1920s. ​Hot Chocolate: This is not your mom’s hot chocolate. Parisians sip this dark, rich brew called chocolat chaud like it’s liquid gold. Just one cup and you’ll be trading in your dessert one decadent sip at a time. Not sure where to start? Take a hot chocolate crawl that begins with Angelina, the cafe where Coco Chanel and Audrey Hepburn would sip Chocolate L’Africain piled high with chantilly cream. French 75 or Sidecar: The City of Light is considered the birthplace of cocktails and sampling a few boozy French originals in the capable hands of a Parisian bartender is an enviable experience. Both the French 75 and the Sidecar were made famous in the 1920s by Harry’s New York Bar and an enterprising bartender who created a book that became the bible of boozy cocktails. You can still belly up to the bar at Harry’s and order a drink. Wine: The only thing French are more serious about than cheese is wine. If you’re still discovering what you like and what goes well with certain types of cuisine, a wine tasting in the French countryside is definitely in order. Several good vineyards are within a few hours of Paris, including the fabled wineries of the Loire Valley. Have a picnic on the banks of the Seine. Grab a blanket, a fresh-baked baguette, cheese, and a bottle of wine. Then picnic as the Parisians do by frolicking on the banks of the Seine as the sun sets. It’s an inexpensive way to soak in the delights of the city without the crowds. If it’s good enough for Julia Child, it’s good enough for you. Learn from the best by taking a class at a top culinary school like Le Cordon Bleu, established in 1895 and still winning awards more than 120 years later. While most parts of Paris have little cafes and bistros tucked into every nook and cranny, foodies will be delighted with the culinary scene over in the 11th ​arrondissement. 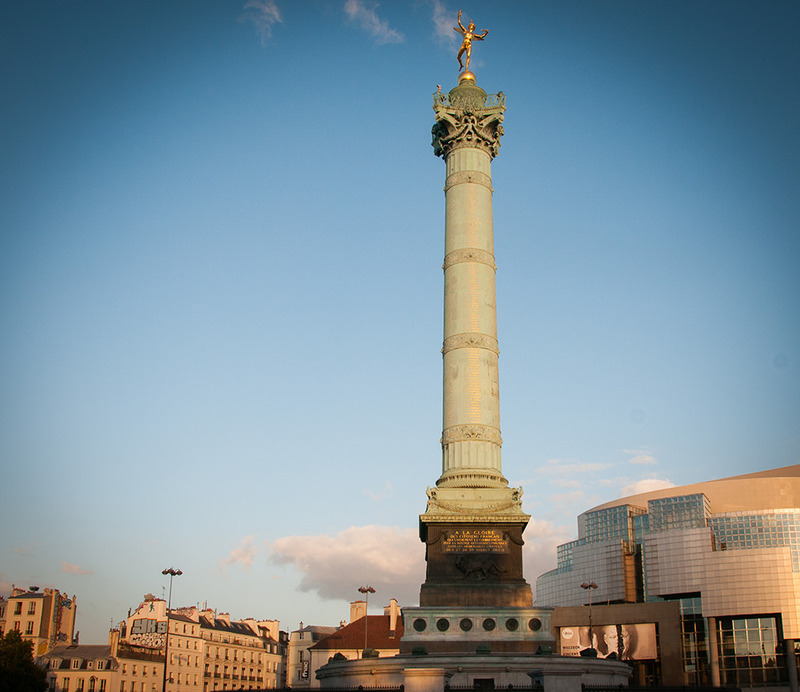 This neighborhood straddles the banks of the Seine and was formerly home to the Bastille. It’s one of the most densely populated parts of the city, crammed with young urban dwellers who adore the trendy restaurants and bustling nightlife. 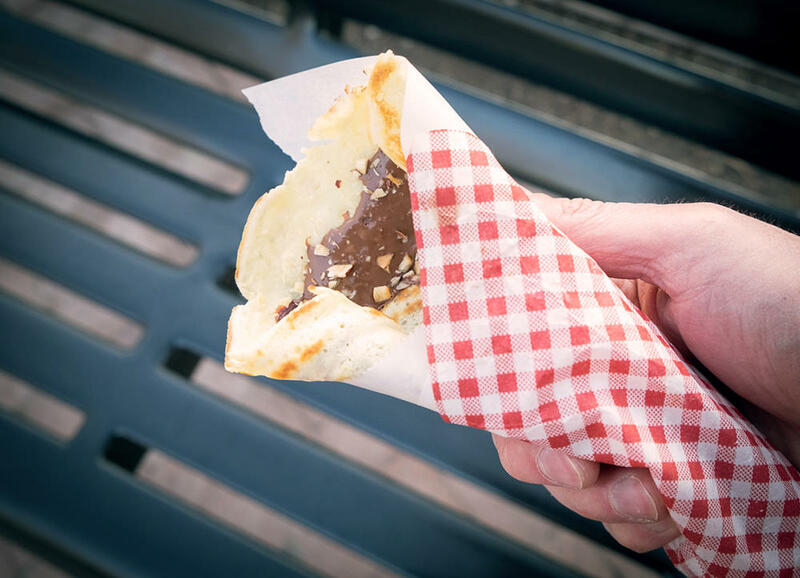 ​Take a break to munch on a chocolate-filled crepe. ​Eat a crepe off a street cart. You’ve probably made a firm commitment to avoid being a tourist, but if you’re only in Paris once, you’ll be sad to have missed crepes from a street cart. Stroll down the cobblestone street by the Eiffel Tower, folded pastry in hand, and take in the wonder that is the City of Light. If you only live once, it’s best to do it in Paris. Excuse me, where could I find the best crepes? Don’t fall for the famous. Some of the best food in Paris is the hardest to find. No one knows that better than David Lebovitz, the renowned American chef and baker who now calls the City of Light home. Against his better judgment, David grudgingly pronounced this unassuming Normande as the best apple tart in Paris. But don’t take his word for it. See what all the fuss is about and grab a bite for yourself at Philippe Teillet. ​This content is intended only for responsible adults of legal drinking age. Rosetta Stone does not advocate or encourage the abuse of alcoholic beverages. Please drink responsibly and with moderation. 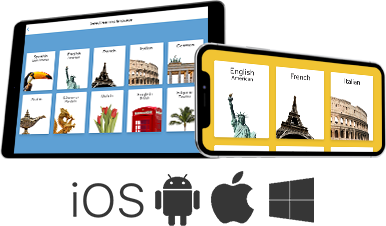 Rosetta Stone does not have any affiliation with the aforementioned bars and restaurants.